Sands Marine Ireland's Boating Superstore. Sands Marine is your main dealer for Mariner, Honda Suzuki outboards, SBS Trailers, Islander & Dagger Kayaks and HonwaveInflatables, as well as being your offical Irish Distributor for the very robust Norwegian built boats Pioner, We have a 4000sq ft chandlery supplying all your boating accessories. visit www.sandsmarineonline.co.uk to visit our store. 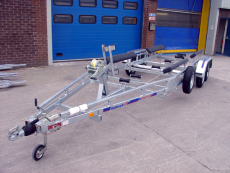 Suitable for small RIB’s & tenders of up to 575Kgs, the ‘Coaster Mini’ trailer is suitable for transporting boats of up to 4.5m length capacity. 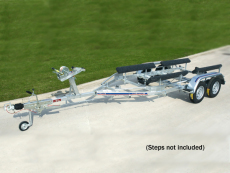 Suitable for small RIB’s & tenders of up to 575Kgs, the ‘Coaster Micro’ trailer is suitable for transporting boats of up to 3.9m length capacity. Whilst the Indespension stamp of quality runs throughout the range you won't have to break the bank. Going camping, sailing, water skiing, or mountain biking? Need to move some furniture, take garden waste to the tip or maybe carry a load from the DIY store? 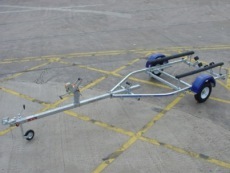 With a huge range of trailers available we have a trailer for most purposes but more importantly every budget. Standard boat in hand laminated GRP, the hull incorporates woven reinforcement areas and is stiffened below the waterline by a bonded in GRP backbone. Built in buoyancy is incorporated and the hull and deck are wet bonded resulting in a high strength to weight ratio structure. Anchor well forward with stowage under. Aft thwart with fuel tank storage under. 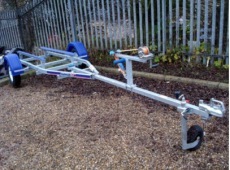 Anodised alloy mooring cleats and bow roller. Inner and outer transom plates with alloy capping tough all round PVC fender with stainless steel end caps. Galvanised rowlocks, stainless steel winch eye and keel band. 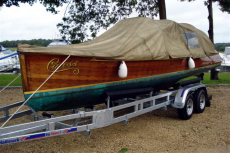 Transom height to suit long shaft outboards only. 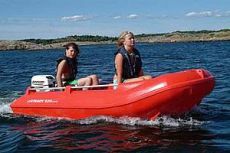 Sports boats, family boats, boats for water skiing, yacht tenders, fishing boats, a boat for your children or your first ever boat? You'll find lots to choose from here! From the fabulous new Pioner 17 Supersport sports boat to the practical and fun Pioner 8 Mini, every boat in the range is designed to give you many years of trouble free fun on the water. 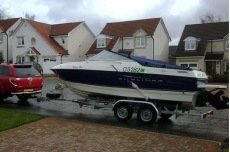 Boats for leisure use come with a ten year warranty. Every boat and dinghy in the range is 100% recyclable. Made from rotationally moulded Polyethylene, they are hard wearing, robust and won't lose their colour in the sun. 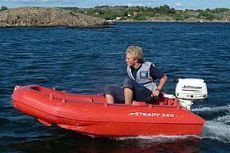 Designed with large reserves of buoyancy, these boats are also built to be easy to handle, easy to row and simple to look after. For example many of them are self draining. Enjoy yourself in your Pioner boat!